Portugal coach Carlos Queiroz has released the starting lineup for the Portuguese National Team, who play Cape Verde later today. 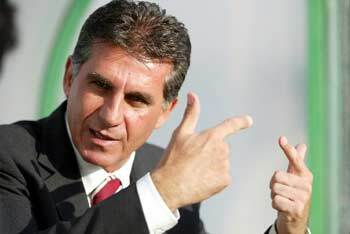 Queiroz has raised some eyebrows with his selection of Miguel Veloso and Fabio Coentrao in the starting eleven. Miguel Veloso has enjoyed an above average season, even though Sporting were abysmal. Fabio Coentrao, however, has enjoyed a spectacular season with Benfica, playing a major role in their championship success, which is why Real Madrid are currently courting him.